This is a substantial Cross at a full 3/16" thick. The rough and stylish hand hammered finish has a sleek-modern appearance with a hidden chain hole. 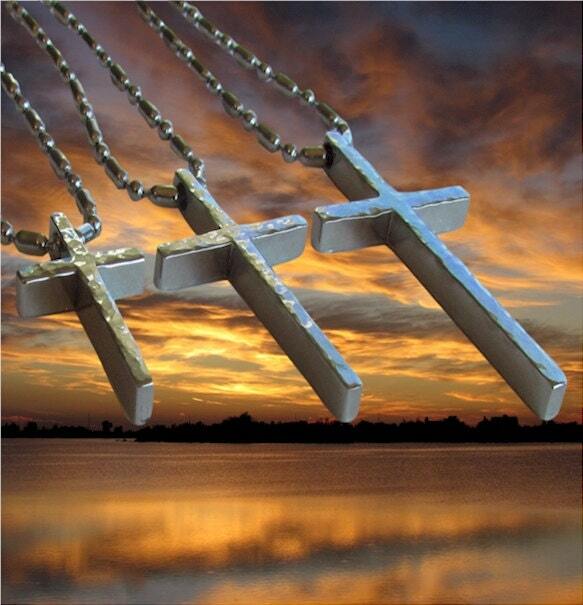 The Stainless Steel Cross is available in 3 popular sizes from petite to stout! Necklace comes with a silver plated 18" 2.4mm ball chain.